In order to reduce interruptions from the oncoming Hurricane Irma, the Miami Dolphins are moving their football operations to Los Angeles. 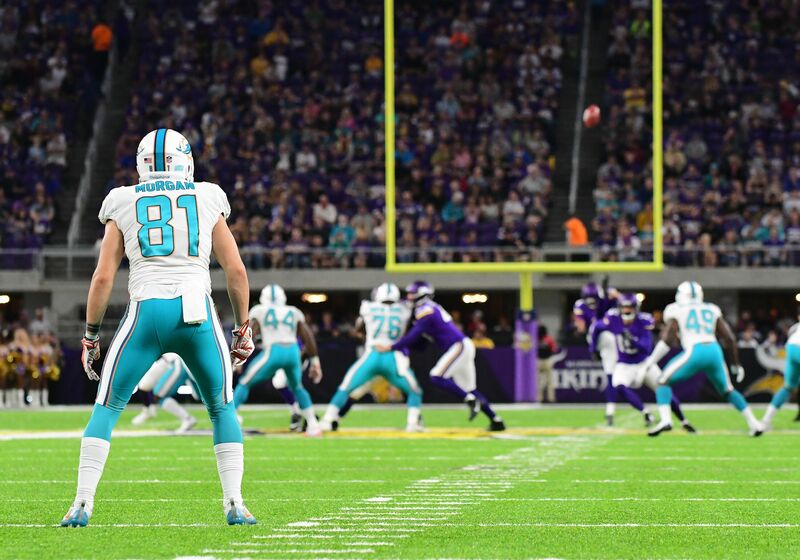 The Miami Dolphins are taking steps to make sure they are completely ready for week two. While the NFL moved the team’s week one game against the Tampa Bay Buccaneers to week eleven, the team still needs a place to prepare for week two. The Dolphins will be temporarily moving their football operations to Los Angeles. They will prepare for their week two game against the Los Angeles Chargers in Los Angeles. This is due to the encroachment of Hurricane Irma, a hurricane that poses a dire threat to the state of Florida. Adam Schefter of ESPN broke the news on Twitter. Schefter also sent out the following tweet, indicating that the team would be moving families, coaches, players, and staff to Los Angeles tonight if the weather is permitting. Dolphins owner Stephen Ross taking care of families, coaches and players in move to LA. Plan is to go tonight, weather permitting. There has been no word of the situation past the Sept. 17 game. The Dolphins are currently scheduled to play the New York Jets in week three. The game is a home game for the Jets, so the hurricane should not have an impact. Depending on how intense the damage from Hurricane Irma becomes, the Dolphins may spend the week before the Jets game away from Miami as well. Miami will not have to worry about playing at home in their stadium until Oct. 1. The Dolphins will play the New Orléans Saints in the week four matchup before hosting the Tennessee Titans in week five. The Dolphins’ two-week road trip will help the team be prepared to host a home game. Hopefully, the city can begin to put itself back together by then and return to some sense of normalcy.